An art show, an album four years in the making, lots of designer clothes, collaborations with Diplo, Missy Elliot and Sky Fierra. No, these aren’t the antics of someone as outlandish as Lady Gaga. They are the recent works by South-Korean hip-hop artist G-Dragon. The release surprised more than a few people by skyrocketing to the top-20 position on upwards of seven global music charts, including the United States Billboard. Over the past couple of years, there’s been a strong push in the globalization of South Korea’s music industry. It seems like the Hallyu Wave (the influx of Korean culture, especially musical, into countries beyond South Korea) has finally caught its footing in America. It seems pretty safe to say that GD’s “Coup D’Etat” was intended to be a test of how easy it would be for GD to break into the American market. The results? I would say that such a strong chart presence within the first week of the album’s release bodes well for the K-Pop star. But what accounts for the success? There is no easy answer. It helps that GD started his career in a group whose success is global, but plenty of Korean pop music acts have experienced some level of success in the States. There’s something special about “Coup D’Etat” in that it’s truly a product of great musicianship. The success of the album simply boils down to the fact that the music is good, no matter its place of origin. 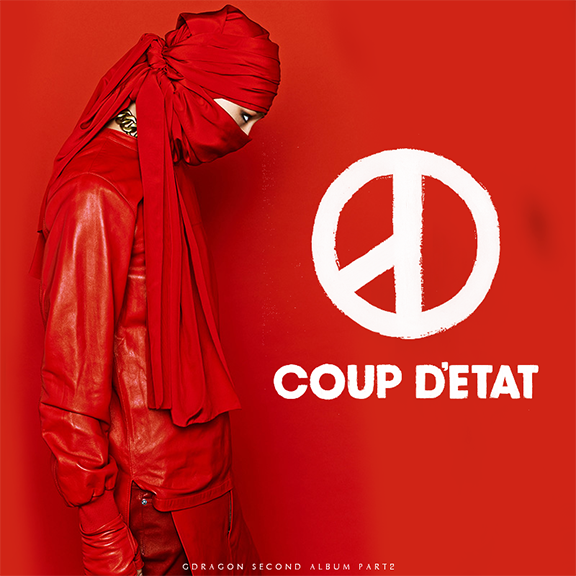 “Coup D’Etat” is the kind of album that has the ability to sway the masses. It’s energetic and fun, experimental but crafted with the precision and know-how of someone who has been in the music business for a long while. GD also made the right decision when he chose to collaborate with American artists. Name recognition boasts a great deal of importance, especially within the hip-hop community, and GD has definitely made himself seen to Western audiences largely due to his collaborations with artists like Elliot. Overall, I’m impressed by the album and I definitely think its worthy of all the accolades.